So you’ve ditched the traditional outbound marketing techniques and shifted your tactics to the way of the future—inbound marketing! Excellent. But at some point, all that engaging and wonderful content needs to turn into profits. This balancing act seems simple enough, until it’s put into action. The disappointment of creating great content, but having no sales, is a problem many businesses know all too well. The frustration can leave you wondering if you were right to change your tactic in the first place. Partnering with an inbound marketing agency that understands sales will allow your content to not only greet new customers, but turn those interactions into sales. 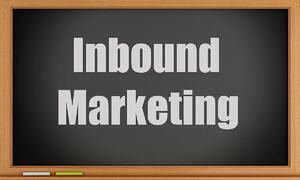 Keep reading to learn how an inbound marketing agency that knows sales can benefit you. Implementing inbound might seem easy enough at first, but you might soon change your mind when you attempt to build your strategy. Inbound marketing agencies that understand sales know that it is vital to choose the right marketing strategy for various audiences. No group of customers is the same. For example, knowing how to write an engaging blog post that showcases the brand’s personality, understanding which keywords to optimize and when,and knowing which tone to use for your unique audience is all part of the puzzle. A puzzle that some inbound marketing agencies know inside and out. Translating content into sales is no easy task, but some agencies have made a livelihood out of it. The average marketer won’t understand all the working pieces behind successful inbound marketing, and that’s okay! This knowledge and understanding is sometimes difficult to come by. But the results come through hiring a team that understands how these to delightprospects and convert them into sales. Once the right strategy has been selected and implemented, knowing how to approach the customer with the sales pitch can be difficult. Placing a form or a landing page in the wrong place could turn a potential customer into an annoyed reader. Asking for the sale before the visitor is ready can harm your sales. The journey should be respected and lead to an informed and happy connection. Turning a lead into a customer requires a gentle push in the right direction. This direction can sometimes be confusing. However, inbound marketing agencies have a detailed understand of what types of content can lead to a sale, and when it should be included. There is nothing worse than losing a lead due to poor content or bad timing. Understanding your customer and adapting to the new way customers are buying will allow you to connect with them on a different level. This all leads to returning customers who enjoy your content. You’re writing your own content and sharing it as much as possible, but it still isn’t turning into sales. You’re on social media. You’re using keywords. But you’re not getting sales. Where did you go wrong? Perhaps you aren’t looking in the right places or using the right technology to monitor your activities and learn how to improve your efforts. Measuring metrics and inbound marketing success can be difficult. 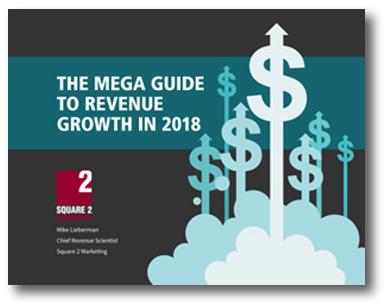 Inbound marketing agencies can not only measure the ROI of your strategy, but also generate detailed information about social engagement and lead generation, among other metrics. The ability to understand this information and translate it to something useful for your business is a skillset that takes lots of practise to perfect. While many don’t necessarily have the time or interest in learning measurement and improvement skills, inbound marketing agencies understand the information and know how it can help your business improve. Translating data into better content leads to more customers and more sales for your business.